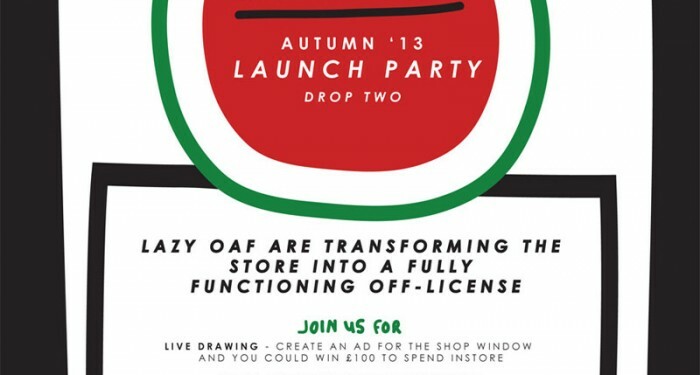 #AlexisLoves Lazy Oaf’s New Collection & super cute Press Day!! Thanks to the pastel beachy brilliance of the Lazy Oaf press day I got to escape the grey and miserable London weather today! Even if it was only temporarily but shhhhh! I had a blast checking out their spring/summer collection. I’m a huge Lazy Oaf fan and have been for years. 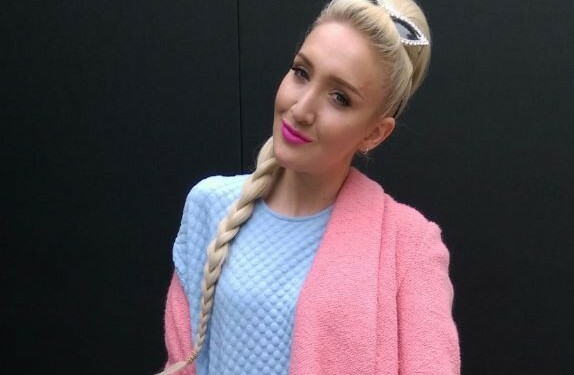 You guys know I’m all about fun fashion, pastels and cute details and that’s what Lazy Oaf are all about too. 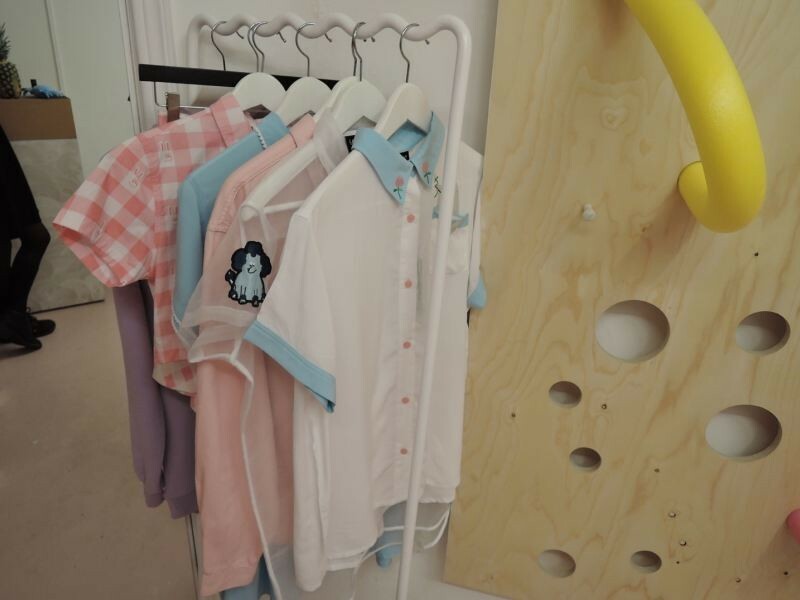 Read on for a glimpse into the Lazy Oaf Press Day…. If you’re not sure what a press day is, its an event or day that a company,designer or brand choose to display their product to the press! Usually its a super fun experience where you get a chance to see the product way before everyone else…the only down side is sometimes its before it can be available to buy! 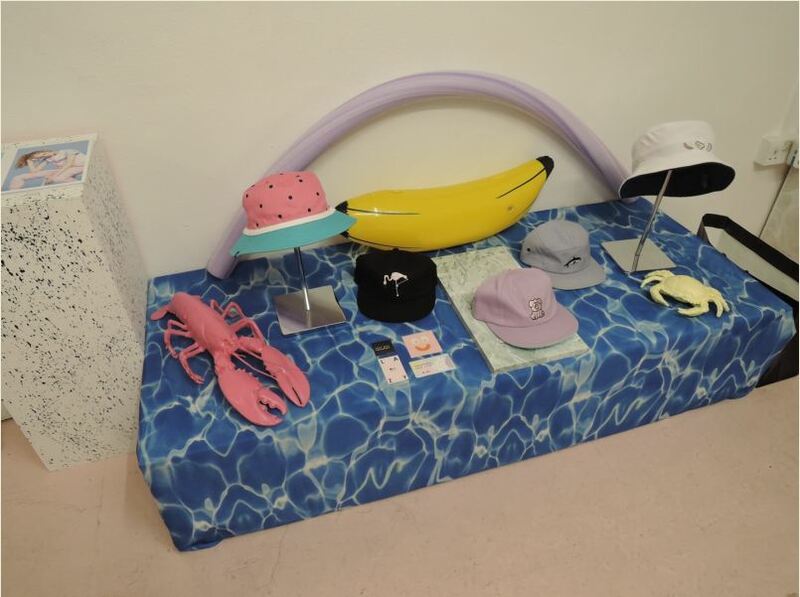 At the Lazy Oaf press day they got into the summer mode and seaside spirit with these cute casual hats! Sea creatures and 90s nostalgia were a big inspiration for the latest Lazy Oaf collection. How TO DIE FOR are these pieces?! Whether you want to dip or dive into the nostalgic seaside look, Lazy Oaf have you covered accessories wise! OMG pastel and printed heaven!! This collection totally stays true to the unmistakable Lazy Oaf aesthetic. The clothes were pastel hued and adorned with cute details and fun patterns. 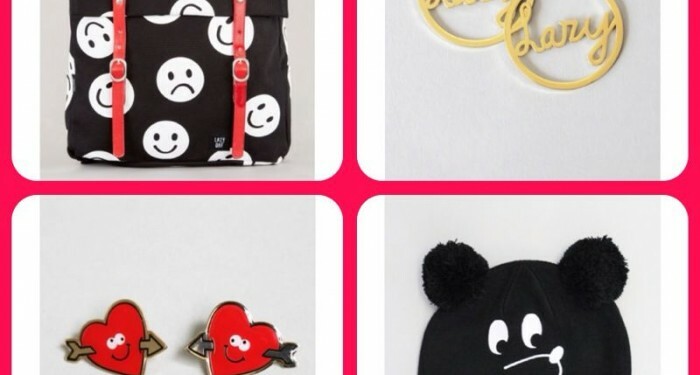 Lazy Oaf once again nailing the 90s nostalgia trend!! My favourite! One thing I loved about the Lazy Oaf collection was that on top of the fabulous kitsch prints, they also provided some clothes in a cleaner palette. The sheer detail and mini embellishment looked gorgeous and would be soooo wearable. Be sure to check out my other posts on Lazy Oaf, which you can find here, here, here and here! 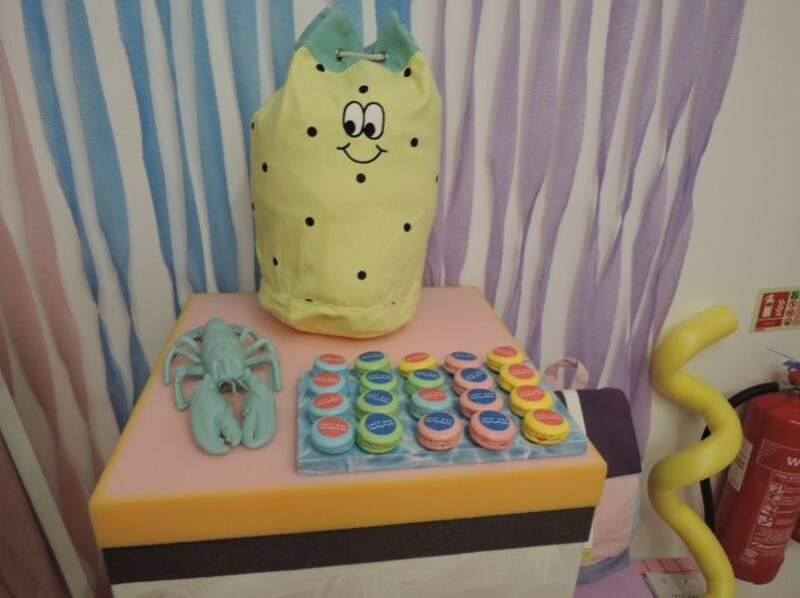 Of course no fashion press day or party is complete without something to snack on and today Lazy Oaf put on a glorious spread of macaroons! Colourful macaroons naturally!! 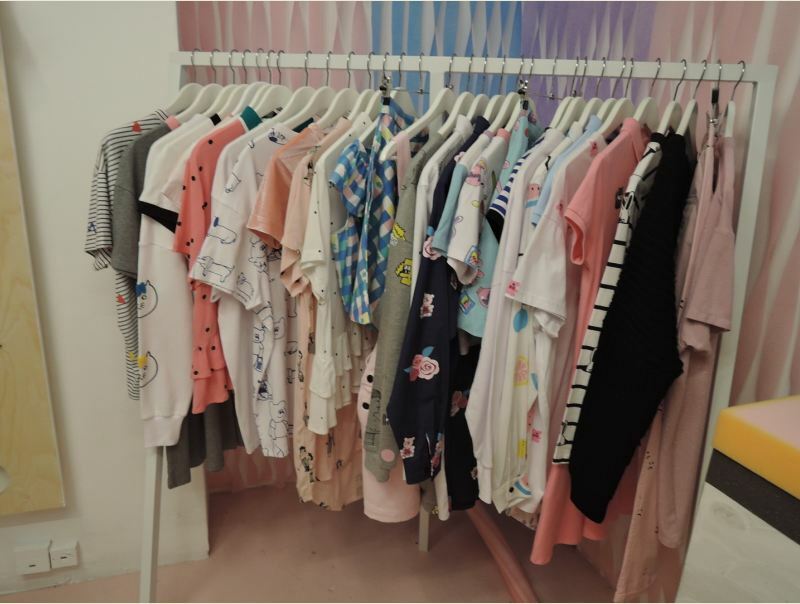 Thank you so much to Lazy Oaf for having me and giving me a sneak peek into your super cute spring/summer collection! I cannot wait to be rocking these pieces!! Roll on summer time!